Point Affiliates has closed operations as of May 2015, affiliates should update and remove tracking links to the play4win.com casino. Can affiliate programs really deliver on their promise of a steady stream of income for the rest of your life? Point Affiliates is possibly one program out of hundreds of that has proven that it can deliver on this promise. This is probably because of the quality of the brand that its affiliates promote. Play4Win has been one of the most popular as well as rewarding online casinos in operation for a long time now. Not only does it have a superb collection of games, it also has generous bonuses and promotions that ensure high conversion rates for Point Affiliates' partners. The program also has top-notch backend features to ensure its affiliates' success in promoting what is already an established brand in the competitive casino gaming industry. What do you get when become an official Point Affiliates partner? The commission model that the program utilizes is actually quite unique. An affiliate will see an increase in his share of the net revenue that is generated from his referrals activities for the first three months. For the first month of successful referral activities (referred players depositing funds on their accounts), the affiliate gets a 55% commission. The second month will see this go up to 65% and then culminate to a whopping 80% on the third month. After this, the affiliate partner will receive upwards of 30% for the succeeding months (depending on how much net revenue is generated by his referrals). Affiliates are paid every 10th business day of the month on the payment method they indicated when they registered for the program. Unlike competing affiliate programs, Point Affiliates only requires its partners to have at least €50 in their accounts to process withdrawals. Having the abovementioned commissions won't mean anything if you can't refer players successfully. Once an affiliate logs in to his/her Points Affiliate account, he/she can easily access the Media Gallery for promotional and marketing materials that can prove useful in any referral strategy. These promotional and marketing materials include banners, gifs, HTML mailers, logos, screenshots, as well as customized landing pages. Tracking referrals is crucial to any affiliate program. For this reason, Points Affiliates integrated cookie tracking on all the media (promotional and marketing materials) it provides to its affiliates. This means that it be easier for affiliates to check on the progress and status of their referral activities. Consequently, this should also provide the affiliates a means to analyze their strategies and improve their chances of getting higher commissions. It's particularly hard to find affiliate programs that can offer the same degree of success that you're going to experience with Point Affiliates. With a high conversion brand like Play4Win to promote, affiliate partners can expect a steady stream of income from commissions for the near future. Affiliates will also benefit greatly from the tracking and reporting system that the program has in place. 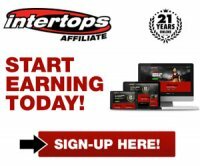 If you're thinking of joining an affiliate program, then you should definitely check out Points Affiliate. Of course this doesn't mean that you should limit your options. There might be others that are also worth checking out but if you truly want save time and effort, choosing Points Affiliate would be a decision that you're never going to regret.